Alliance Fencing Academy while preparing for the Rio Olympics on July 14, 2016, in Houston. Kelley and Courtney Hurley of San Antonio, bronze medalists at the 2012 London Olympics, have decided to pursue a third trip to the Olympic Games as sisters. Kelley, 29, had contemplated retirement, but decided to return to training in hopes of earning a spot at the 2020 Tokyo Olympics. Kelley and Courtney, 26, have been competing together internationally for more than a decade. 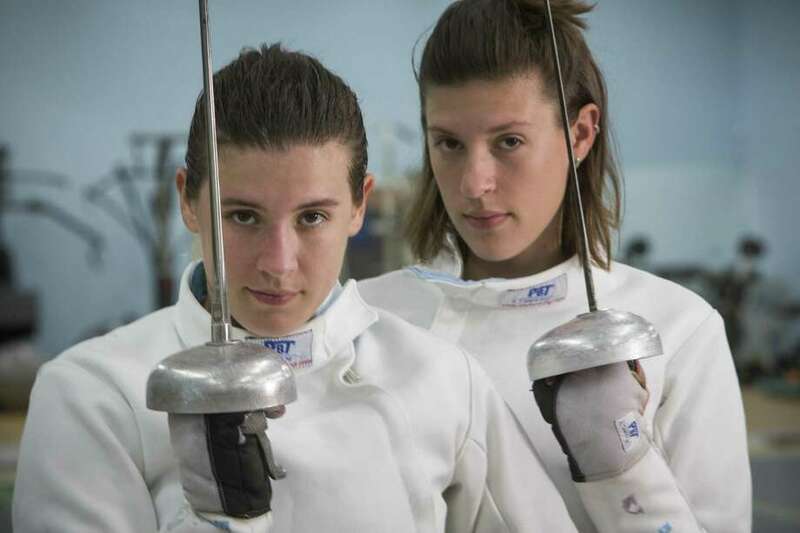 The two sisters — both gradudates of Warren High School and Notre Dame — were members of the first U.S. women’s epee team to claim a Summer Games medal. The Hurley sisters have temporarily moved to Houston to be nearer to their training facility.